BlackLine Systems is the first company to provide enterprise-class software that automates the entire financial close process. BlackLine provides software to companies from the Fortune 500 including Costco, eBay, Boeing, LinkedIn Corporation and many more. Therese Tucker is the CEO and founder of BlackLine Systems. Therese began her career as a programmer and brings more than 25 years of financial/accounting and development experience to the company. BlackLine Systems has experienced strong growth and is recognized as a leader in the industry under Therese’s direction. We had an opportunity to speak with Therese upon the announcement on November 4, 2013 that the BlackLine Financial Close Suite for SAP® Solutions became one of fewer than 40 software solutions globally to be recognized as an SAP-endorsed business solution. Hi, Therese. Thank you for taking the time to speak with me. BlackLine Systems has thrived during this economic crisis, experiencing at least 50% growth each year, expanding overseas and continuing to hire new employees. How have you been able to achieve such success and continue to grow when so many other businesses are experiencing difficulty? Ironically, the recession turned out to be a good thing for us. We have a solution that will actually save companies money. You are headquartered in the United States and now have offices in London and Sydney. Do you anticipate continued expansion? We are growing very rapidly. Part of our taking on Silver Lake Sumeru as an investor is to grow more. Currently we have 25 open positions to fill. Our software is already being used in more than 100 countries. The fact that we offer it in 15 different languages and that it has multi-currency capabilities built-in has helped with the international penetration. London is the base for our expansion in the EMEA region; Sydney for Asia-Pacific (APAC). How do you feel about competition within the market? There are a lot more people trying to get into the market. Having competition validates the market, but we are miles ahead and expect to stay way out front. The BlackLine Financial Close Suite for SAP® Solutions has just become an SAP-endorsed business solution. Can you tell me about the relationship with SAP and how it began? We have a couple hundred SAP clients. We found an area where SAP and other ERP systems weren’t performing 100 percent for their customers and where our software really could complement the functionality inherent in the bigger ERP s. Our customers were still using spreadsheets. Due to our size we are much more able to adapt to changes in the market. We’ve been an SAP partner for years and expect the relationship to continue to grow over time and be a very important part of our long-term strategy. We like working with SAP. They are very skilled in what they do and their customers are very loyal. BlackLine’s solution meets all of SAP’s strategic requirements. We have a joint road map that we will continue to develop together to meet the needs of our clients. When you first started how difficult did you find it? We had two issues: our size and funding, and the fact that there weren’t any others that did what we did. We created a whole new market. It was very slow growth at the beginning. We weren’t venture backed. What was helpful in the beginning was that we had big clients come on right away like Costco, Dana Corp. and HealthSouth. They were big early supporters and it helped us a lot. They also are all still clients to this day. What role has regulatory compliance had on product development? The ERP market is very fragmented and we will continue to be agnostic. We have customers that are pulling data from more than 100 ERP and General Ledger (GL) systems. For large public organizations that have to reconcile multiple balance sheets worldwide, the account reconciliation process is considered a key control to help ensure financial integrity. Weaknesses and inefficiencies in the reconciliation process often lead to mistakes on the balance sheet and overall inaccuracies in the financial close and reporting processes. Maintaining multiple sets of accounting standards, including IFRS, GAAP or statutory accounts, creates an even more onerous burden on companies when closing the books each month. So increased scrutiny on financial reporting and new requirements for regulatory compliance definitely impact our product development plans. When things are automated, you have full visibility and full reporting. Each system is independent but our Consolidation Integrity Manager module ties them all together and provides a single repository for all supporting documentation, as well. 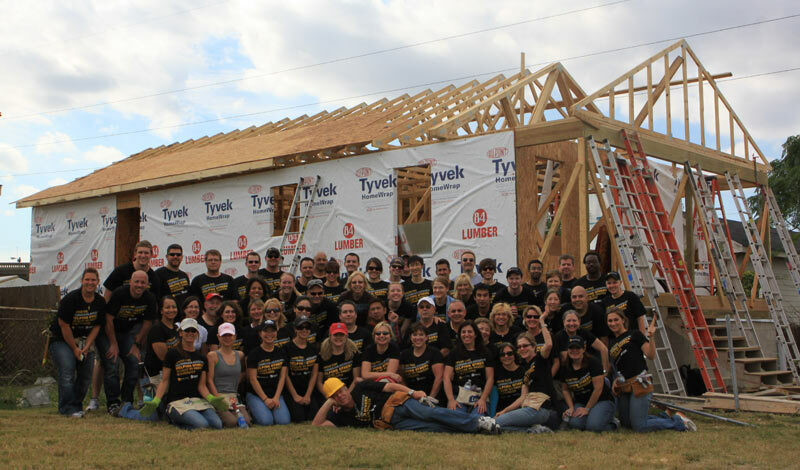 I know that Corporate Social Responsibility is important at BlackLine Systems. On a personal level, how do you get involved in your community? What are some of the ways BlackLine contributes? On a personal level my husband and I are very involved with a number of organizations. This year we have been helping at the Los Angeles Mission, Los Angeles Christian Health Centers and Epath.org. 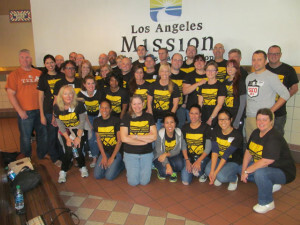 L.A. Mission (http://losangelesmission.org/) serves about 1,500 meals a day and provides beds for the homeless. The Los Angeles Christian Health Centers (http://www.lachc.com/ ) provides medical and dental care. I was there a couple of weeks ago and spoke with a woman who was smiling and laughing and talking about moving from being homeless to making her way back into society. (She had just gotten her teeth). Epath.org (http://www.epath.org/site/main.html ) assists with housing. Financially we have been very blessed. And it is important to remember and give back appropriately. At BlackLine Systems, we have a green committee. They make sure we recycle and that we use filtration systems. It is a very active, environmentally conscious group. We have supplied all of our employees around the world with glass water bottles to cut down on the plastic waste. You began as a programmer. With your founding of BlackLine Systems, how has your role changed? Are you still active on the programming side of business? Now my role is that of CEO versus development. I end up being a road block when it comes to development because I end up getting busy and am not able to deliver. Did you encounter any roadblocks as a female CEO in the technology field? There were not many road blocks on the business side because there are many women in the accounting industry. At Silver Lake Sumeru, the managing partner I work closely with is a woman which I really enjoy. As the sole initial investor in your own company, what is your opinion on Crowdfunding? Crowdfunding is really being used for consumer products. But, I don’t see it working as well for business to business. Do you have any advice for women going into the field? Stick with it! When I got into programming in school my initial class was a different major. The classes I initially took were fun. But, when I switched to another university I had the complete opposite experience; it was more about theoretical mathematical problems versus real problems which I didn’t enjoy as much. This can be a terrific career for women. So even if the classes don’t seem interesting, if they can problem solve and have the people skills, they can do very very well in this field. Get the degree. I have had the best career and I wouldn’t change a thing. So, do you believe the degree is always necessary then? Not always. In fact, BlackLine has several employees that have graduated from Cornell University and also some that have not completed university studies. How have you balanced between home life and CEO? My kids are now grown. For years, it was just my husband, kids and work. There was very little else in my life. Having my own company did allow me to leave and go get the kids when I needed. I’m very pleased with how it’s all turned out. What do you find most gratifying about your work at BlackLine Systems? The people I work with and our clients. I enjoy working with our clients and employees. They become your friends. At BlackLine we have the most incredible quality of people. Our customers tell us all the time about how supportive our staff is. We have been able to attract very knowledgeable and personable employees. 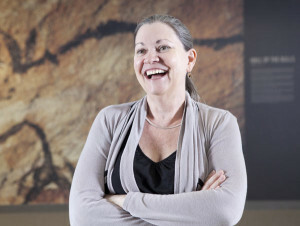 Therese Tucker is the CEO and founder of enterprise-class financial close software provider BlackLine Systems.